For those in the reading and possibly getting into the supernatural it is important to know about salt. Yes that little container on the dining table. No I’m not kidding. It goes back to waaay back in the day in the mists of time when many superstitions began taking root. Among the superstitions were ways to defend oneself and family from the spirit world. With the fact that spirits can do anything save for turn the light back off after they’re done, I can’t quite say I blame them. I’d want protection too if a spirit made me through up enough needles to start a hardware store ( Reference people. Twenty points to whoever gets it). Getting back to the superstition bit there are two big reasons as to why salt is supposed to work. For the picky folk I know there’s more but to my mind a few of them can be crammed together for this one. The first one to cover also used to apply to many other creatures as well. One was supposed to sprinkle salt or grains or brooms around their homes or beds since it was thought that some spirits or entities had severe cases of OCD and would have to count out each individual grain/straw bristle or some of them without patience would just leave the person inside the food circle alone. The second one being a bit more salt centric. 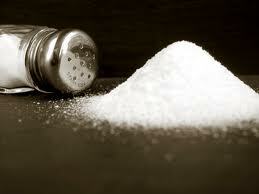 It was thought that salt had purifying energies to ward off negative ones. It was often used in rituals with water and could be thought as the origin of holy water. I could go into more detail but I’ve already done all the research I want for the day. Besides I can’t give it all out at once. Google, my friends, Google. I will say that salt is salt. 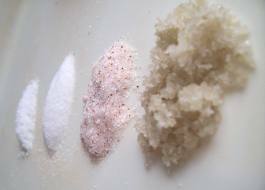 Rock salt, Table salt, Sea salt, Iodized salt all salt. All the same chunks of sodium chloride so no it isn’t going to matter. So yeah, one could go grab a big tub of the little girl with the umbrella salt then pour it out around their “base of operations” just to have a safe zone while investigating. I’d still personally prefer to save some for eating a good watermelon though. This entry was posted in Spirit related and tagged explained, ghost, paranormal, repel, salt, spirit.